An independent living tenant has slammed the council, accusing it of ignoring concerns about the heating system, leading to mould issues at the five-year-old building. Retired soldier and janitor William Paterson (72) lives at Cowan Court in Penicuik with his wife, retired papermill worker Jane (76). Mr Paterson said they have been left with mould in their supported living home and he claims to have been ignored by the council – which said it was unaware of the mould issue. He said: “The heating system in this house is terrible. We have had seven leaks in the living room, plus one in the bedroom, over a year or so. “People in the same complex have had this issue. Almost everyone has suffered a leak in their premises since it was built five years ago. “People are getting sick of it. The council seems to just be dragging its feet. To me they are not interested in older people. “It’s a beautiful place to live in, but the heating system is a big problem. “The heating is shocking in our flat. Every winter we have got to notify the council. “When they built the place there was nobody to oversee it on the council’s behalf, to make sure everything was done properly. We were one of the first tenants to move in here. Mr Paterson revealed that the issue is impacting on him and Jane, who both have health issues. He said: “My wife doesn’t keep well. She has had two functional weaknesses in the past three weeks. It’s like mini strokes. And I have got dementia. So this issue doesn’t help. “Everytime we put the heating system on we are going about looking for leaks to see if the carpet is wet or there is anymore mould. 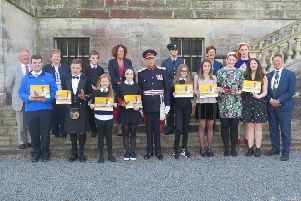 Celebrate Midlothian’s amazing young people – it’s time to nominate your heroes! 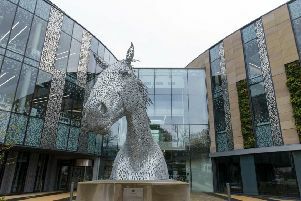 A Midlothian Council spokesman said: “While we are not aware of any mould issues, Mr Paterson is one of a number of tenants whose properties have been affected by a leak due to the fault in the heating system at Cowan Court. “We’ve been working hard to find a solution to the problem and indeed, we have now identified the most effective way to fix the issue. “The council has attended every reported leak as an emergency and we will continue to do so until the remedial repairs are finished. “As soon as we know more about the start date of the work, we will be meeting with all tenants impacted to explain the next steps, including any repairs to their properties, if required.